Earlier in the year, FLIR got us all hot and bothered by revealing a thermal vision smartphone case that could actually see our excitement. Unfortunately it's only for iPhone users, and won't be available until the early summer. 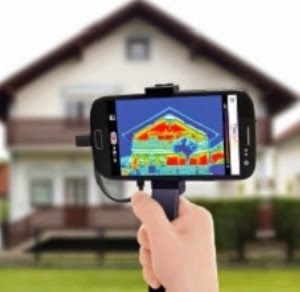 But Android fans will have the last laugh with their own thermal imaging add-on the Therm-App that's already available. What further sets the Therm-App apart from FLIR's thermal vision case is that it will eventually support additional lenses, allowing you to customise the field of view visible on your smartphone's display. And of course the whole thing can be mounted to a tripod or base for long stakeouts or timelapse recordings. The Therm-App does appear to be actually available right now, but for the time being only existing Opgal customers are able to buy it. Which basically means only professional military, security, and law enforcement types will be able to order one. 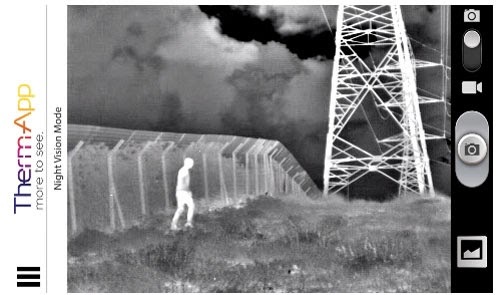 The rest of us can only leave our name and email address and wait to join in on the fun, but hopefully it will be available to everyone by the time FLIR's offering is officially released.